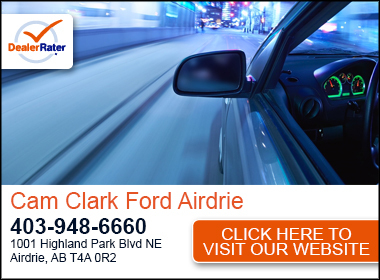 Cam Clark Ford Airdrie is your one stop Alberta truck dealer. 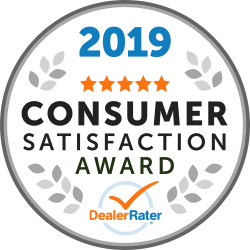 Dedication to outstanding customer satisfaction has and always will be our #1 goal. A complete body shop/collision repair centre, parts and service department with certified trained technicians will help keep you're vehicle on the road. We also offer a complete lineup of both new and used vehicles with sales staff that will not only help you find that perfect vehicle but also provide financial options suited to you're individual needs. Be it poor credit, limited to no credit, bankruptcy, divorced, we can help get you financed. 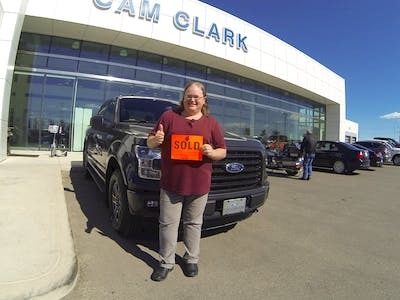 We have it all here at Cam Clark Ford Airdrie where you're not just a customer, but a Cam Clark Ford customer. Call us at 888-904-5224. 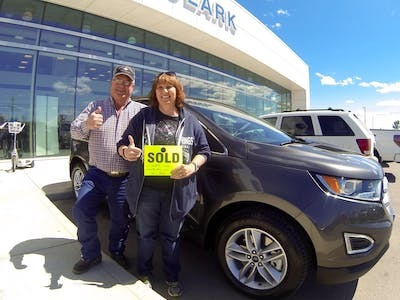 "Great new vehicle buying experience"
This is the second new vehicle purchase I've done with Ron, first at Cam Clark. He is great to deal with and I will recommend him to all my friends. Thank you Ron for making my new vehicle purchase a positive experience. Teresa was also great. She made the boring paperwork seem quick and easy. Thank you Teresa! "Amazing service by the whole team"
Everyone was helpful and honest in every way whether it was over the phone when I had questions or at the store. I shopped around at many other locations and noticed that this was the only dealership that knew what they were talking about. I was given the best deal straight away without having to argue about it and Ed (the sales guy) was honest and fair. Now I'm driving my new (customized) 2016 f150 with a piece of mind with no regrets. Highly recommended to everyone !! "Great experience, especially with sales rep Brian Collin"
Cam Clark Ford was very reasonable in our price/term negotiations. I was out of town during the process and there were no surprises regarding the condition of the vehicle (or anything else) when I arrived to test-drive and purchase it. There was a miscommunication regarding payment terms/forms, but we met in the middle and I felt fairly dealt with. The salesman, Brian Collin, was exceptional. He was upfront/candid, but also friendly and professional. His service was the best I've had and he was willing to go above and beyond to make sure that I was satisfied with all aspects of the transaction before I made the purchase. I will definitely buy from Brian again. "Great dealership to deal with." I purchased a 2016 Shelby GT350 in March and a 2016 F150 king ranch in June. The team of Mark Allen and Khan Ung as well as Phil Hurst in finance were very easy to deal with. I feel I received very fair deals with both vehicles with minimal pressure to get a deal done immediately. 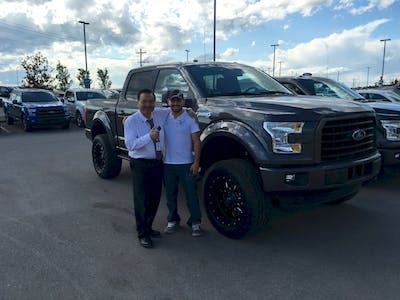 I do not live in the Airdrie area but made the trip to Cam Clark Ford to buy the F150 from Mark after the experience of dealing with this team on the Shelby. I would recommend Mark and the entire Cam Clark team to anyone that is interested in purchasing a Ford vehicle. Mark and Teresa were the perfect team for us. Mark is hands down the best sales person we've ever worked with. There was no pressure at all, he took the time to look at different options for us to stay in our price range. When it came time to sign papers our little guy was getting ansy Mark took him out for a hot dog and occupied him in the office. Theresa was very professional and friendly. Theresa worked with the finance team to get us a great term and 0% interest. She took the time to explain every dollar in the deal to make sure we understood what we were getting. We will definitely be going back for our next vehicle! Mark was excellent and all is well. I would recommend Cam Clark and Mark to anyone thinking of buying Ford. I have not had to service the truck yet but the facility set up looks great. We dealt with Brian Collins for the purchase of our vehicle. He was fantastic. However Steve was condescending, threw add ons at my husband without explaining, pushing that it had to be signed by Monday to make his month end - not sure what that had to do with us. Unfortunately when my husband was with him he walked out and almost didn't go back. But thanks to Brian and the new sales rep Charles we were driving away with our new vehicle. We'd recommend the dealership, Brian Collins, but avoid Steve. "Simple and Easy, no BS!!!" Traded in my existing vehicle loan for a new f150. Mark made the transition super easy and comfortable, and Teresa absolutely killed it as well! Great team here at Cam Clark Ford in Airdrie.